Relational Data Mining (RDM) addresses the task of inducing models or patterns from multi-relational data. One of the established approaches to RDM is propositionalization, characterized by transforming a relational database into a single-table representation. The talk provides an overview of propositionalization algorithms, and a particular approach named wordification, all of which have been made publicly available through the web-based ClowdFlows data mining platform. The focus of this talk is on recent advances in Semantic Data Mining (SDM), characterized by exploiting relational background knowledge in the form of domain ontologies in the process of model and pattern construction. The open source SDM approaches, available through the ClowdFlows platform, enable software reuse and experiment replication. The talk concludes by presenting the recent developments, which allow to speed up SDM by data mining and network analysis approaches. Nada Lavrač is Head of Department of Knowledge Technologies at Jožef Stefan Institute, Ljubljana, Slovenia. 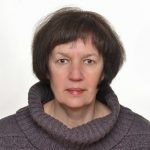 She is Professor of Computer Science at the University of Nova Gorica and Jožef Stefan International Postgraduate School in Ljubljana, where she acts as Vice-Dean and Head of ICT programme. Her research interests are in Knowledge Technologies, with particular interests in machine learning, data mining, text mining, knowledge management and computational creativity. Her special interest is in supervised descriptive rule induction, where the research goal is to automatically induce rules from class labeled data, stored either in simple tabular format or in complex relational databases. Areas of her applied research include data mining applications in medicine, healthcare, and bioinformatics. She is (co-)author of several books, including Foundations of Rule Learning, Springer 2012.